The KRS Ladder Rack system is lightweight yet extremely strong, designed for commercial vehicle requirements. The specially mounted low friction skid blocks and rail extrusions ensure ease of loading and unloading of ladders. 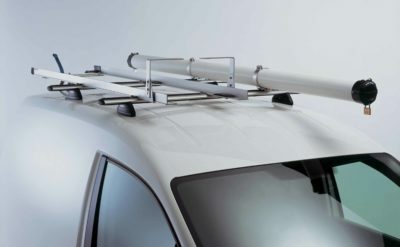 With over 20,000 vehicles fitted with KRS Ladder Rails throughout Europe and zero warranty issues, you can be assured of quality and reliability. Load your extension or step ladder with ease. 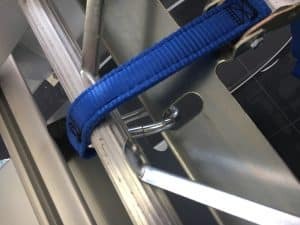 Slide your ladder onto the rails and use the one step ratchet style strap (Camloc Mount) to secure your ladders.